Five years ago, the well-known sociologist Arlie Russell Hochschild went down to Lake Charles, Louisiana, to see if she could scale the “empathy walls” that she believed separated her, a Berkeley liberal, from the many Americans who had joined the Tea Party movement. Much of Hochschild’s earlier work—The Managed Heart, The Second Shift, The Outsourced Self—examined the emotional, as well as economic, dislocations of American work and family life since the 1950s. Now she wanted to apply her “sociology of emotion” to the discontents that have led to the recent rightward drift in American politics. Sherman was outraged by what the company had done, both to him and to the local environment. In an earlier moment, this would have made him an obvious recruit for the Democratic Party, which has historically championed environmental protection and workplace safety. But though he was once a Democratic voter, Sherman now turned to the Tea Party. Hochschild wanted to know why. What could cause “a victim of toxic exposure” who was “now proudly declaring himself as an environmentalist” to throw “in his lot with the anti-environmental Tea Party”? Hochschild’s approach to answering this question is admirable. Unlike many contemporary social scientists, she doesn’t rely on statistical studies, the prevailing “literature,” or newspaper clips. Instead, Hochschild went to Louisiana and talked to people—and not just for a couple of days, but for over half a decade. Hochschild also frames the analysis in her new book with an interesting theory about how people think and feel about politics. Politics isn’t only about collective self-­interest or ideological commitments; it is also informed by what she calls a “deep story.” And the “deep story” she tells about the Tea Partiers—of people who see themselves having tried to get ahead by playing by the rules only to watch the federal government favor and move in front of them those who have not—rings true with what I’ve heard during my own interviews with various Tea Party militants and Trump voters. Strangers in Their Own Land describes in vivid detail a world that is often ignored or caricatured by the media and by many liberals. But Hochschild’s method and “deep story” theory also have their limits. While helping to better explain the resentments that many Tea Party and Trump supporters feel toward minority groups and government programs, she also deprives their politics of its rational basis. By giving so much prominence to their worldview’s emotional sources, her important new book ends up reinforcing—­rather than bridging—the gap between her own convictions and those of the people she set out to understand. The origins of the Tea Party’s politics go back decades, but the movement itself dates from CNBC commentator Rick Santelli’s rant in 2009 against the Obama administration’s mortgage plan. “This is America,” Santelli exclaimed from the floor of the Chicago Mercantile Exchange. “How many of you people want to pay for your neighbor’s mortgage that has an extra bathroom and can’t pay their bills?” Santelli called for a Chicago “Tea Party” to protest the plan, and his rant inspired a group of bloggers and activists to organize protest “parties” around the country. The Tea Party has never been a single unified organization. Rather, it’s a collection of different groups that initially shared an opposition to President Obama’s stimulus program and the Affordable Care Act and that continued to organize around the name. These groups include several national political-action committees, two Washington-based pro-business lobbies, and a few hundred state and national politicians who use the “Tea Party” label for their own political purposes. Most important, however, are the myriad local groups—hundreds, even thousands of them—loosely connected through social media that provide the movement with its ground troops. Hochschild estimates that there are 350,000 “active members,” which seems high. In their excellent The Tea Party and the Remaking of Republican Conservatism, Theda Skocpol and Vanessa Williamson estimated some 200,000 activists in 2011. Since then, the various Tea Party groups have probably lost members. My own guess, based on the websites and membership lists I surveyed, is that the number of active Tea Partiers had shrunk to about 75,000 by late 2013. But even if the groups boasted only 150,000 or 200,000 members in their heyday, they exerted an outsize influence, shaping the national debate and helping, for instance, to oust Republican Senators Bob Bennett and Richard Lugar, and even House majority leader Eric Cantor. The Tea Party groups have never shared a common platform, but they’re the latest incarnation of a rightward turn among the white working-class and lower-middle-class Americans who once served as a bulwark of the New Deal coalition. The sociologist Donald Warren was among the first to explore this demographic group in a little-known book, The Radical Center, published in 1976. Based on surveys conducted in 1971 and ’75, Warren described these “middle American radicals” as feeling caught between the economic and political elites, on the one hand, and poor folks, on the other. This sense of being in the middle created a unique set of positions that could not be categorized as either distinctly liberal or conservative. These voters favored universal programs like Social Security and Medicare, but they opposed “big government” programs that they believed primarily benefited minorities and the poor and were financed with their tax dollars. In the 1970s, these voters were disproportionately white, male, and older, often with only a high-school education. They worked in blue-collar or low-level white-collar jobs and made up much of the support for Alabama Governor George Wallace’s 1968 and ’72 presidential campaigns. By the early ’80s, many of them had left the Democratic Party and begun voting Republican. This cohort has changed over the years, but it hasn’t lost its sense of being an embattled core of Middle Americans wedged between the rich and the poor. These days, its members have often gone to junior or state college, but as the American labor force began to shift away from industrial production in the 1970s and ’80s, and as economic opportunity grew primarily in the upper- and bottom-third income brackets, many of these Middle Americans felt left behind. Already critical of affirmative action and welfare, they now turned their ire toward immigration and trade deals, which they believed threatened working- and middle-class jobs. Opposed to “big government,” they continued to see political elites, particularly in the Democratic Party, as favoring the rich and the poor at their expense. These kinds of concerns—especially over immigration and the deleterious effects of globalization—­have drawn many of these Middle Americans to the Trump campaign. While suffering from the extremes of industrial pollution, Tea Partiers also resist its regulation. Hochschild is particularly struck by the Tea Party’s opposition to big government. Some Tea Party members come from states like Louisiana that are near the bottom in terms of life expectancy, school enrollment, and earnings. These Tea Party activists are far more subject to disease from industrial pollution and accidents than Americans living in so-called blue states, and yet they’re adamantly opposed to the kinds of government measures that would improve their well-being and prevent environmental disasters. 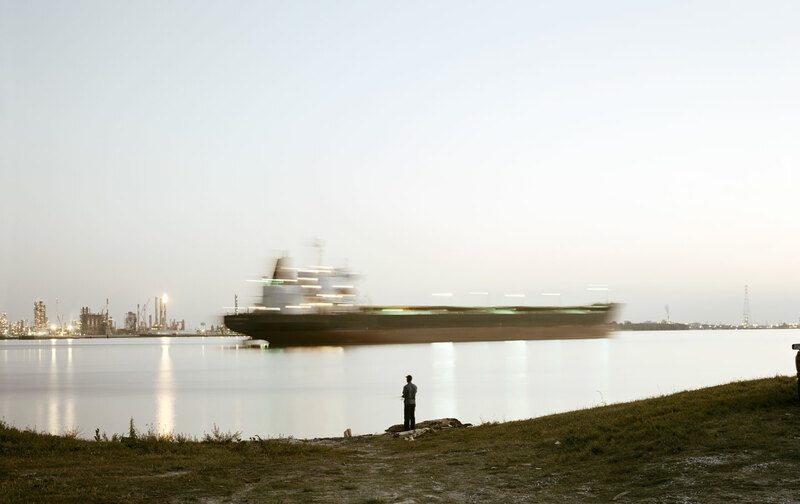 Hochschild tries to solve this puzzle by examining a specific expression of the “great paradox” in Southwest Louisiana, the center of the state’s petrochemical industry and a region blighted by industrial accidents and pollution. Many of the Tea Partiers she interviews have been driven from their homes, subjected to cancer-causing chemicals, and seen their drinking water poisoned. But while suffering from the extremes of industrial pollution, they have also shown “great resistance to regulating polluters,” especially when those policies come from federal agencies. But Hochschild discounts this explanation. She visits a Louisiana State University professor who tells her that less than 10 percent of Louisiana’s jobs depend on oil and that, of the 18,000 jobs coming to Southwest Louisiana because of fracking, seven out of 10 would be filled by workers from outside the region. For Hochschild, the Tea Partiers’ tendency to exaggerate their dependence on a loosely regulated oil industry also stems from a more general opposition to the federal government. The Tea Partiers’ deep story goes something like this: They see themselves standing in the middle of a long line going up the hill of the American dream. The line isn’t moving, or is doing so very slowly. But these people are patient and work hard to get ahead. They are willing to endure hardship, including losing their homes to polluters, because they believe that through hard work, they will eventually move forward. But as a result of the actions of the federal government, people in the back of the line—minorities, immigrants, the poor—are allowed to cut ahead of the hard-working Tea Partiers. Hochschild doesn’t suggest that all Tea Partiers have the same deep story in mind. But she argues that many of them believe in something like it, and that this is the underlying reason why so many of the people she interviewed have come to believe that they are, as her title puts it, “strangers in their own land.” When she tells one Tea Party activist that 44 percent of Louisiana’s state budget is funded by the federal government, he dismisses the contribution: “Most of that goes for Medicaid. And at least half of the recipients, maybe more, aren’t looking for work.” When she recounts the deep story to Lee Sherman, he tells her that she has read his mind. The ideology that animates many Tea Party activists isn’t libertarianism; it’s right-wing populism. Hochschild’s portrayal of Southwest Louisiana—a region decimated by corporate malfeasance and an irresponsible state administration—is extremely poignant. In successive chapters, she offers profiles of different Tea Party activists and helps us enter their worlds. When she focuses on the particular, when she listens and quotes, Hochschild captures a worldview that is still prevalent in many parts of the Old South and Appalachia. But when Hochschild tries to generalize from the particular, she misses several of the Tea Party’s key components. One is immigration: In the minds of many (if not most) Tea Party groups, the main issue has been the unskilled “guest workers” they believe are entering the country illegally from Mexico and elsewhere. Even in Massachusetts, as Skocpol and Williamson report, concern for immigration as an issue ranked second only to deficit spending, despite there being few undocumented immigrants in the state. It’s also an important reason why many Tea Partiers have aligned with Trump. But Hochschild’s Tea Partiers rarely speak of the evils of immigration—and that’s especially surprising because it’s not uncommon for companies in the region to bring in workers from other countries. On the basis of her sample, Hochschild also overestimates the libertarian commitments of many Tea Party activists. While there are clearly right-wing libertarians among them—and they’ve been drawn to the pro-business Washington groups and to politicians like Texas Senator Ted Cruz—the bulk of the Tea Party is still much more closely aligned, in terms of political commitments, to Warren’s “middle American radicals.” They believe in some state subsidies but not others. For many Tea Partiers, there’s a clear distinction between those entitlements—Social Security, Medicare—that they feel they’ve earned through a lifetime of working, and programs like the Affordable Care Act and Medicaid, which they believe provide subsidies to people who haven’t earned them. Hochschild does quote one Tea Partier expressing disdain for Social Security, but on the website of the Louisiana Tea Party, the main group in the state, there’s a statement distinguishing Social Security and Medicare, which embody “a basic bond between work and reward,” from the Affordable Care Act, which doesn’t. It’s important to recognize this aspect of Tea Party politics, because it helps explain why so many Tea Party supporters also support Trump, a figure who has positioned himself over the past year as a populist rather than a libertarian. Trump promises to defend Social Security and Medicare from the right, and he is also critical of the “free-trade” deals with Mexico and China that right-wing libertarians like the Koch brothers and the Cato Institute support. But the central problem with Hochschild’s analysis is that she places too much emphasis on the Tea Party’s deep story. Tea Partiers have certainly displayed a blind intolerance toward minorities and immigrants, and their jaundiced view of the federal government has led them to erroneous judgments about state intervention. But like their liberal counterparts—­who also have their deep stories, which also lead to exaggerations and erroneous judgments on their part—the Tea Partiers’ politics cannot be reduced to an emotional miasma. Their view of environmental regulation, for example, may be wrong, but it still possesses its own logic. The Lake Charles Tea Partiers don’t oppose government regulation only or even primarily because of their deep story, but because they believe it threatens their jobs. And while the LSU professor may be correct about Louisiana’s overall dependence on the petrochemical industry, that dependence is certainly much greater around Lake Charles, where Hochschild did her interviews. Of course, the deep story is far from an emotional fiction. Over the last 50 years, some government programs have benefited the poor and minority groups, and they have often been funded by working- and middle-class Americans’ tax dollars. One can argue that these programs benefit society as a whole, and are morally just, but Hochschild’s reliance on the deep story precludes this kind of argument from occurring. Politics becomes a contest over whose backstories—liberals or conservatives—­are more persuasive, rather than a conversation about which policies might best satisfy a community’s concerns. Hochschild’s explanation for the Tea Partiers’ embrace of Trump has a similar weakness. In her book, she attributes their support for the “emotions candidate” to a quest for collective unity achieved partly through “costumes, hats, signs and symbols.” But by emphasizing the symbolic aspects of their support—she cites Emile Durkheim’s theory of “collective effervescence”—­Hochschild ignores the degree to which they are drawn to Trump not simply for his bluster and defiance, but because they believe he is representing their economic and political interests. Hochschild’s book is an important contribution to understanding our times. It is anything but superficial in its portrayal of the Tea Party activists living in Southwest Louisiana, and its theory of the deep story challenges us to think about the emotional sources of right-wing populism. But her book also reflects—rather than transcends—the current polarization between upper-middle-class liberals and the white working-class voters who back the Tea Party and Donald Trump. While Hochschild set out to scale the “empathy walls,” one worries that with her new book, she may have ended up reinforcing them. Listen to Arlie Hochschild discuss her work on the Start Making Sense podcast.